Ep. 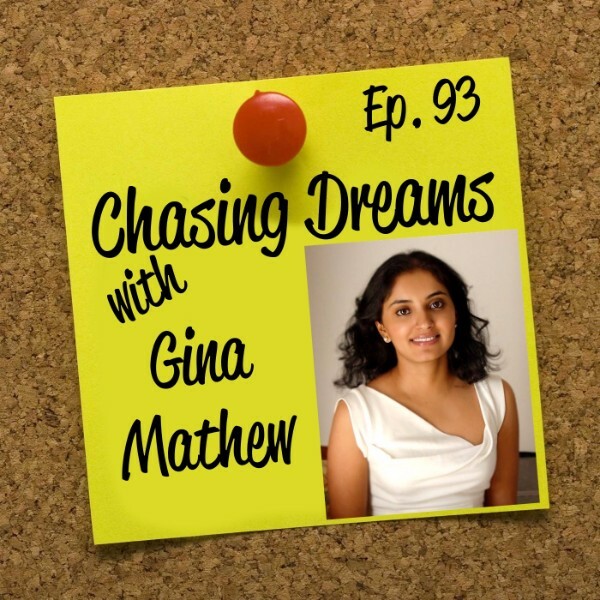 93: Gina Mathew – Sometimes You Need a Break from Your Dreams to Regroup | Aimee J. My guest today is Gina Mathew, a Baltimore-based writer, producer, and the founder of Couture Rani, a digital magazine that covers fashion, style, beauty, and entertainment for the global South Asian diaspora. Although she has spent most of her career in television production, her passion is launching and developing new ventures and digital media platforms, specifically in media, fashion, and lifestyle spaces. Gina has her Bachelor’s degree in Political Science and Journalism from the University of Maryland, Baltimore County, and holds a Master’s degree in Publications Design, an integrated graphic design and writing program from the University of Baltimore. Let’s hear more of Gina’s story! Have you always been clear about your path and your passion? For some people, it takes years to get to that place, and most college students don’t have it all figured out. Gina explains why internships and experience matter more than your college degree. She advises you to pick a major you love, but not be in a hurry to “figure it out.” Because of Gina’s varied interests, she didn’t really know what to pursue upon graduation from college. She ended up working for a PR firm, but really wanted to be in TV news. New ideas might sound crazy . . . Sometimes the best ideas are the ones that sound unbelievable at first. Gina decided to use her experience to connect global consumers with artists and designers in India—this was her first business idea, and the one that led to the launch of her e-commerce site. Her dream of Couture Rani resonated far beyond what she imagined. With this “crazy” new idea, she helped change American ideas about Indian fashion. [5:13] College degree or internship: which is more valuable?